This post was originally published on the Trulia Pro Blog by Jovan Hackley for Trulia.com. Follow Trulia Pro on Twitter: @TruliaPro. Yes, lead qualification is about investigation, organization and ultimately setting yourself up to close. No, your prospects shouldn’t feel like they’ve just been arrested or are having a routine robotic conversation. For them, choosing an agent is a moment — a huge moment. To make sure you’re the agent they choose and you maximize your time with them on the phone, there are a few tactics you should use and questions you should reconsider asking. 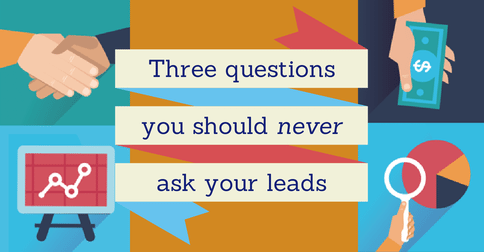 Remember that lead qualification is about getting the full story. You need more detail than simple “yes” or “no” boxes can offer to find and help the right clients. Yes, you do need to know if a prospect is represented, but if you ask the question like a journalist instead of a call center marketer, you can find out more valuable information. Today if you ask this question, it screams that you’re a marketing novice. If this is an actual question for you, check out “Definitive guide to Google Analytics for real estate professionals,” Trulia insights, and consider setting up a series of Google Voice numbers to help you track where your leads are coming from. 3. Do you have financing? Again, the “yes or no” questions should be a no-go for your first conversation with a lead. Financing is important, but when you’re asking about vital points like these you can find out so much more. When you’re talking to new prospects, thinking like a storyteller will help you more than simply checking off a list. Not only will you develop a better rapport with your prospects, but you’ll be better equipped clients to realize the dream. What have you done to prepare for your home purchase? What makes you most nervous about buying/selling? If you found the perfect agent, what would they do and how would you know? Consider adding these to your script and let us know below what other tips, advice and tools you’re using to enhance the process of qualifying leads.